Author of the Child series beginning with Love Child. Followed by Child No More and Child Scorned, Also the author of Christmas themed books J and K Christmas, and of the poetry book Shadowed Tears. Hi! My name is Dylena and I'm now following you. I saw your posts at bookblog.ning! If you would like to follow me back my blog is here! By the way awesome blog! 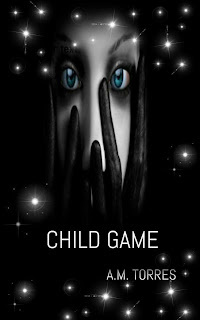 The Release of Child Game...Reflections and thoughts. Happy Autumn readers. Summer is officially over. Can't say it saddens me. I am not a summer person though the main reason for that its the humidity of summer days. Those sticky type days that make you sweat and breathe hard. Just last week was too hot for anything but air conditioning. Lucky to have the air conditioning. But not being able to walk because of oppressive heat can be frustrating. I can handle walking on a freezing cold day more than I can walk on a hot humid day. At least I can adjust my scarf and hat during a cold spell. Not much you can do during a hot one. I look forward to crisp winds, colored leaves, invigorating walks, and Pumpkin spice. Its a bittersweet season for me now for personal reasons, but memories can still make this time of year special. Happy Spring readers. Guess enough time has passed since my last blog for me to hope you had a good Christmas and New Year. Okay, so again I allowed too much time to pass between blogs. Sometimes it's a confidence issue. Other times it's just wondering how to express myself. Even so, I am happy to always reach out. It's been a long winter but I love winter. We're having a cold day today with lots of winds. Such days inspire more writing from me. Especially now at dusk with the twilight of the evening. Its my favorite time of the day. The view is always breathtaking to me. It's comforting and melancholy at the same time. Its hard to describe it on some levels. You have to feel it to understand. Writer, Poet, Author of books Love Child, Child No More, J and K Christmas, and J and K Christmas 2013. The child books are in the suspense category, while the Christmas books are in the poetry and holiday theme. Currently working on Child Scorned the third book in the child series.